Dracula (Dracula by Bram Stoker) – I was going to go with Jean Claude or Eric Northman, and then I realized that I love them because of their strong “I need no one” personalities and that they show tiny cracks on their brooding demeanor when around someone that they love. It wasn’t hard for me to realize that my love for these delish vamps stems from my love of Dracula. I have to be honest, Dracula in the original novel is not the exact Dracula I have in my mind. I like to think of him as a a misunderstood, lonely, and sad, tall drink of water!! Death (Keturah and Lord Death by Martine Leavitt) – Ah yes, another lonely and brooding male (this is my fictional boyfriend type, guys) Death doesn’t have it easy, I mean very few people get excited to see him, and who wants to snuggle with someone who can’t warm their feet for lack of body heat? On the other hand, this is a dude who has a full time job, likes his alone time, and shacking up with him means no in-laws! Where do I sign?! Beast (Dark Triumph by Robin LaFevers) – He has the perfect dual nature! He has a very strong personality, demanding attention when he walks into a room (scene? page?) and he worships the Saint of war, meaning that he is a manly man who gets ish done. This is a guy who doesn’t do anything by half, he fights, and loves with all he has – let me break it down in better terms…He runs toward the fighting with all the passion he has and doesn’t stop until the job is finished, then he comes off the field to his lady and loves her just as passionately. You pickin’ up what I’m puttin’ down? Bran (Son of the Shadows by Juliet Marillier) – Yeah, as always I can’t decide between Bran, Red, or Cathal, but after much thought I realized that Bran is the most unique, so that’s where we are going today. Bran is brooding, he lives in the darkness of his mind and clings fiercely to Liadan once he allows himself to love her. How sweet, right? But seriously, he has some yummy tattoos, and is cunning and fierce. The best part is that he surrounds himself with loyal “brothers” who are basically BAMF babysitters. Bigby Wolf (Fables by Bill Willingham) – He is THE Big Bad Wolf, and the son of The North Wind. Incredibly loyal to those he loves and MANLY beyond reason he is also prone to impromptu rolls in the hay (grass – same thing). YES PLEASE. Silas Dane (Wintercraft by Jenna Burtenshaw) – A perfect mix of evil, cunning, loyalty, wisdom, and broods!! He also has a pet crow, c’mon now – who doesn’t want a crow familiar?! Marco (The Night Circus by Erin Morgenstern) – Internally, he pines. Externally, he uses his sadness as fuel for his art! Me likey!! He constructs a magnificent and beautiful circus around the gal he loves, only to impress her. Roses pale in comparison. 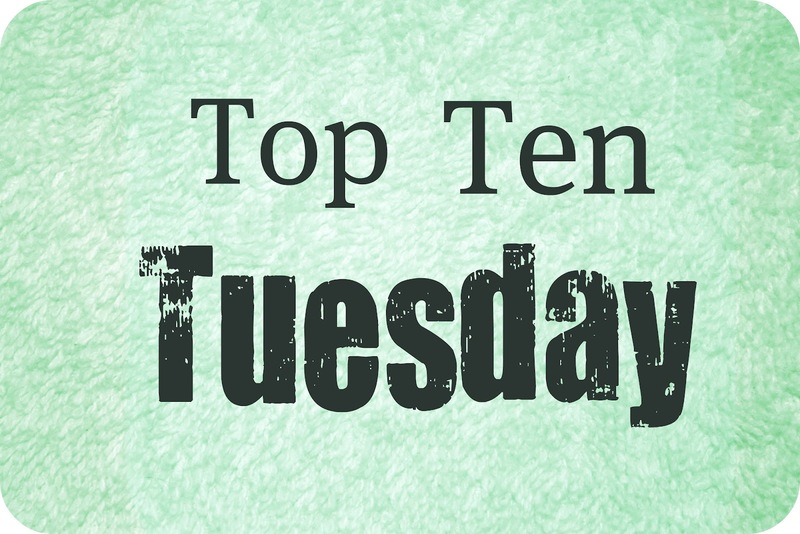 This entry was posted in Top Ten Tuesday and tagged book boyfriends. Bookmark the permalink. I CANNOT believe I forgot to include Bigby Wolf. He is just the best thing ever, in human or wolf form. I debated with myself whether to go with Snape or Sirius Black. Snape is so tragic that it’s beautiful. Sigh. Oooh yay! I knew you would pick Beast, but no Duval? He ousted Duval??? Ha Severus. I do understand how one could love for him because oh, what a history he had. Heartbreaking. But I just couldn’t get over what he did to Dumbledore. I mean, really. The only other one I’ve read is The Night Circus and that’s a great choice! I absolutely love that story. Such unique picks! As is, Severus Snape. Gotta love those misunderstood men. And HA about Bran’s BAMF babysitters. I agree totally. Of Marillier’s heroes, though, I’d probably choose Red, cause he’s so caring and protective of Sorcha (but they’re all made of hotness). I’m gearing up to read Dark Triumph, even more excited now that I KNOW Beast is going to be awesome. And to answer your question from my blog (Books are Bread), Eldric from Chime is NOT a literal lion. He’s just a lion-like boy. HOWEVER, he’s still super sweet (and dangerous). 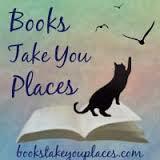 Have you read the Kate Daniel’s books? The main lead is a lion shapeshifter and is swoon worthy hot. Aww Snape! All the tears! I never heard of the book Keturah and Lord Death before, but it sounds great. I just added it to my TBR list. And Severus! That line is one of the best ever. I adore Beast-I just finished reading Dark Triumph last week and I am still loving on him. So glad he got his due in this book! Oh, honey. Snape? Really?! You are such a Slytherin. I hate that man, I really CANNOT UNDERSTAND the Snape love out there (and you’re not alone). Like, it’s beyond my comprehension. He’s just…sad.